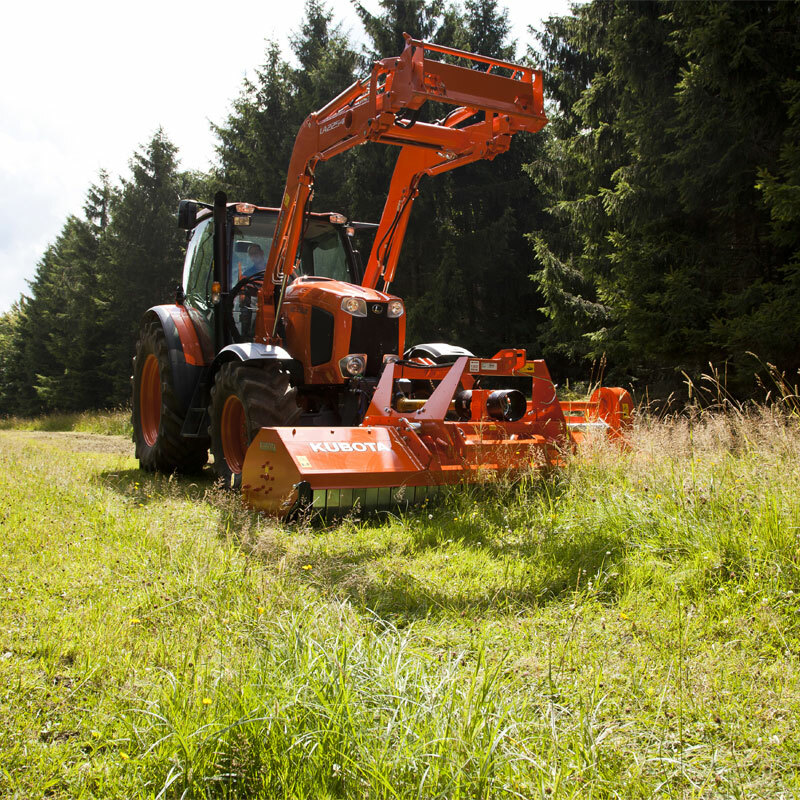 The Kubota SE6000 is a versatile machine suitable for front and rear tractor mounting. The headstock is taken from the well-known and proven power harrow design. The sliding tube is integrated in the headstock; all forces and stress are concentrated on 3 point-linkage. 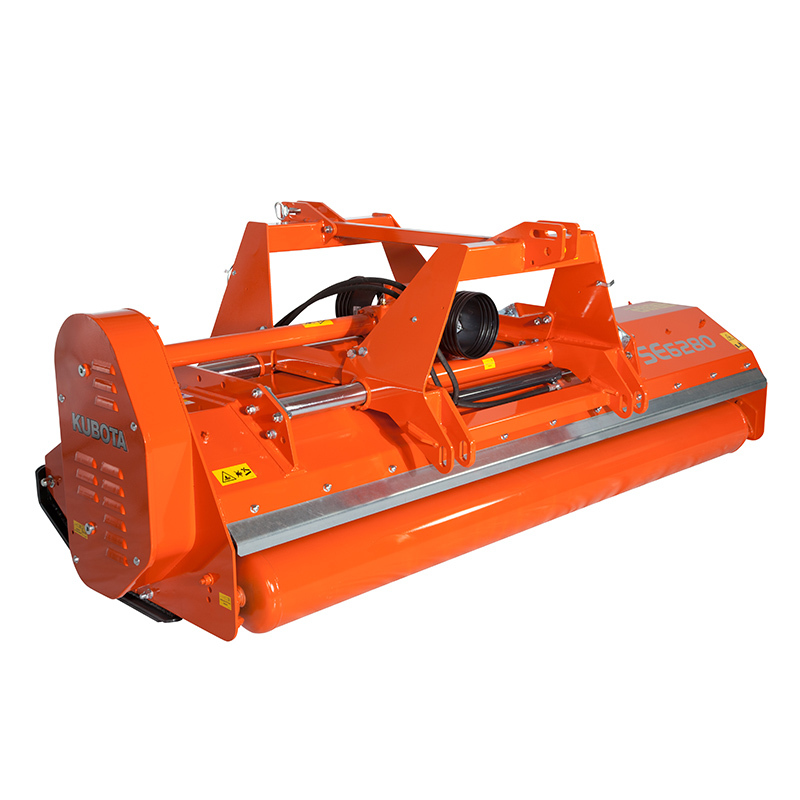 The SE6000 is always standard with hydraulic offset of 52cm. Central gearbox up to 160 hp with double integrated free wheel as standard. PTO tractor input can be 540 or 1000rpm; by inverting belt pulleys, SE6000 always keep same rotor rpm. 5 V-belts combined with automatic belt tensioner ensure smooth side transmission, preventing slippage even in toughest working conditions. No maintenance is required.